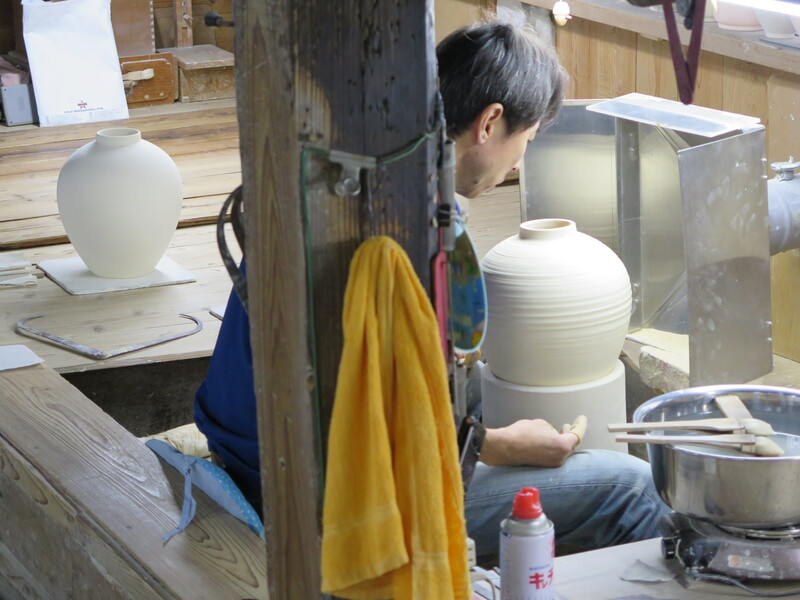 I’m at the wheel, turning my bowls in the workshop, when two Japanese lady visitors come in to see what is going on. They come over to watch and start to ask questions in local, rapid fire Japanese. I can’t make out a word of it. It’s all too fast for me. 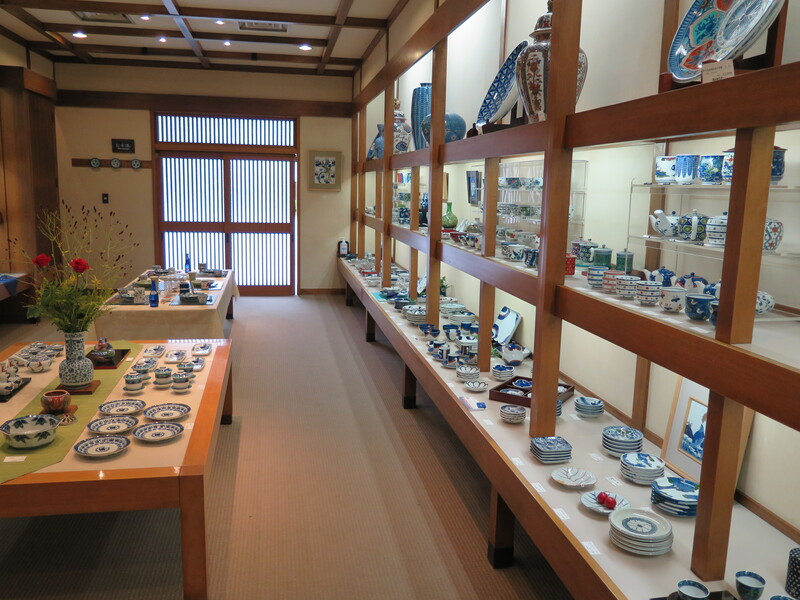 I respond that I’m a potter from Australia and just here for a short time to study Arita porcelain techniques. I apologise for the fact that I can’t speak Japanese. They can tell straight away from my appalling grammar and strange accent that I can’t speak Japanese, but I’m apparently doing it well enough for them to look quizzically at the workshop manager and ask. “If he says he can’t speak Japanese, how come he is telling us all this in Japanese”? He explains to me what they have just said and we all get a good laugh out of it. 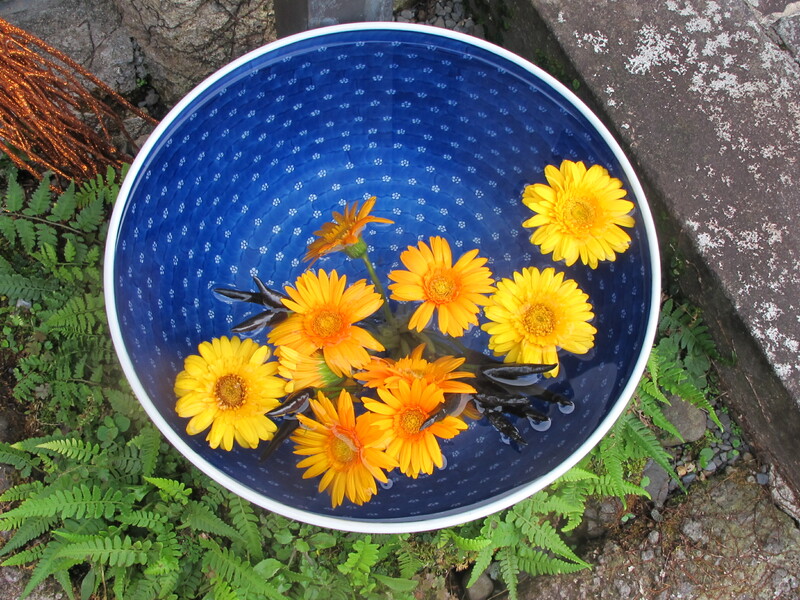 Today I had some time, as my last batch of pots are not dry enough to turn as yet, because it has been raining almost every day this week. 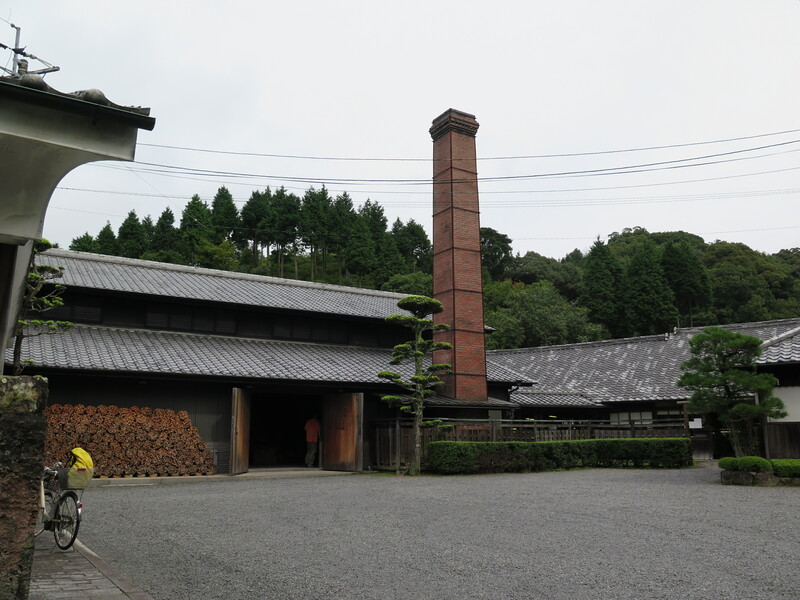 I use my spare time to go out to visit the Gen-emon kiln studio. This is the last and only workshop that still does everything by hand. 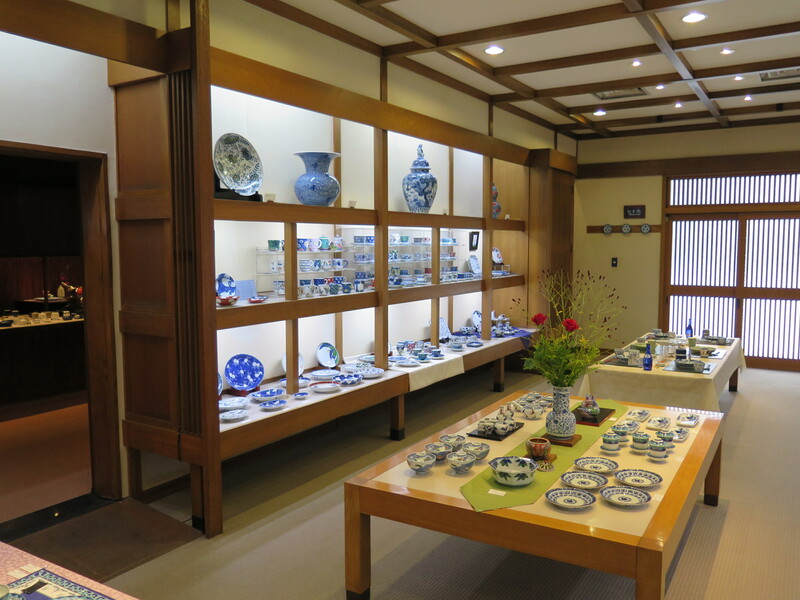 The pottery was founded in 1753 and has been producing exquisite multicoloured porcelain ever since. They have worked continuously on this site since 1868, and the earth floor looks the part. 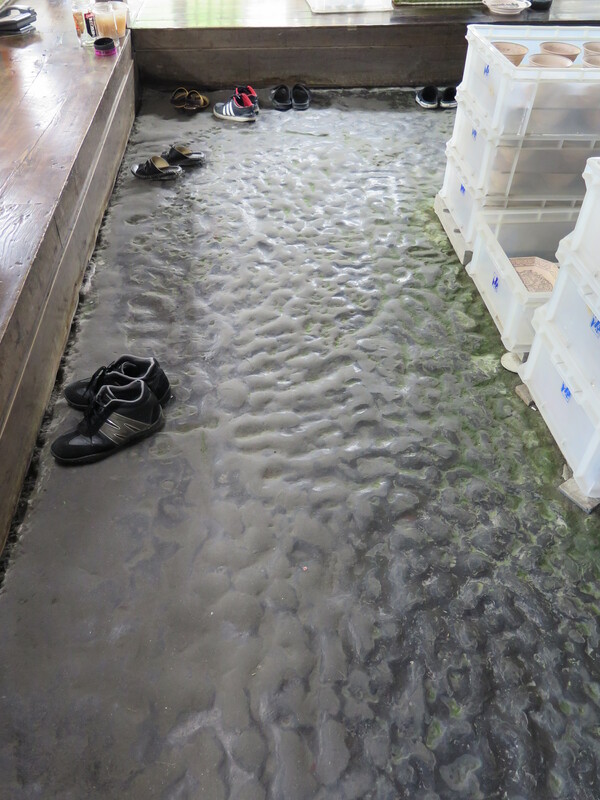 I believe that these floors are made from a pounded down mixture of local sandy/gravelly clay mixed with salt. 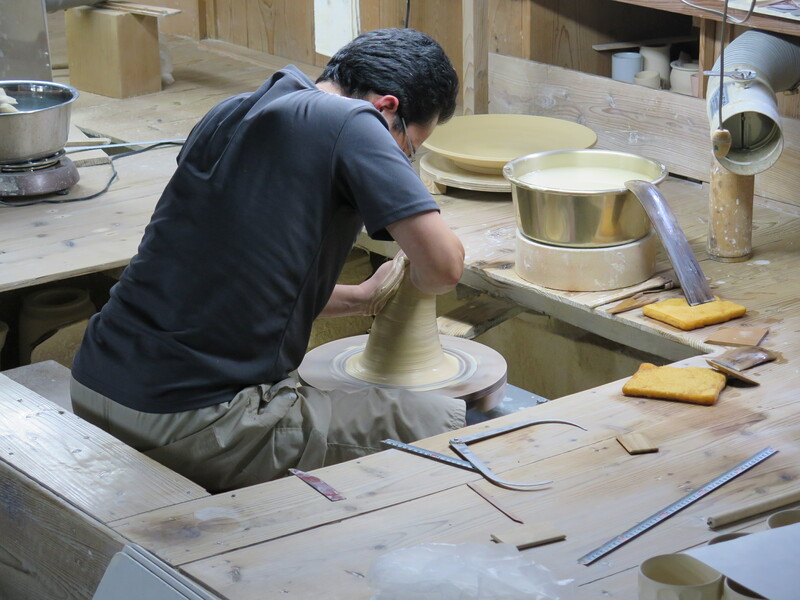 The forms are all thrown and turned by hand on the wheel. I spent an hour there watching the thrower and the turner completing one form each. Everything is measured and then measured again. Everything is made to the most exacting standards, precise measurements are consulted for each part of every piece. All aspects of production are measured and checked, then rechecked, at every stage. 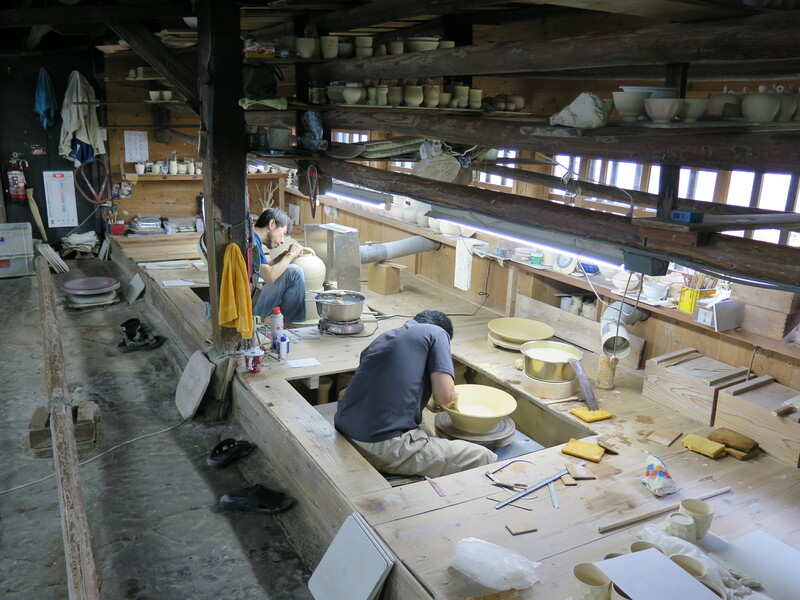 Once the pots are finished, they are placed in the drying room to wait for the bisquet firing. 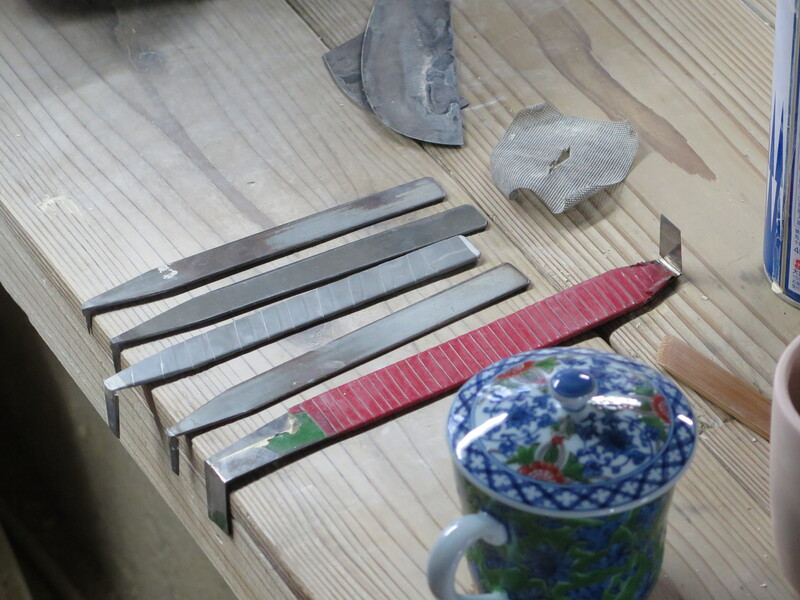 The turners precious tungsten tipped Kanna turning tools. 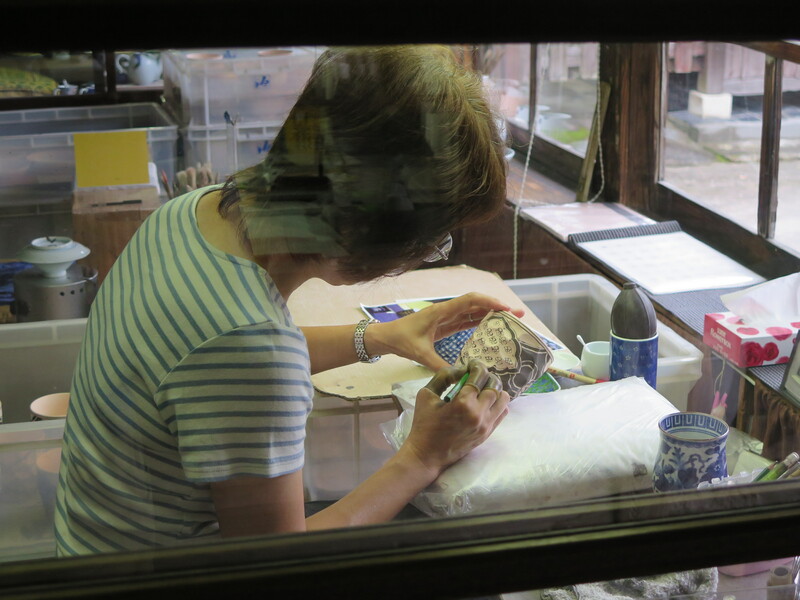 After the bisque firing, all the glazing and decorating is also done painstakingly and laboriously by hand. The decorating is quite complex. The initial design is roughed out in pencil, then laid out on the surface in brief detail in charcoal. Then it is passed to the decorators for the heavy line work, then the lighter line work, finally it is passed to the infill specialist, to complete the design by filling all the otherwise white, blank space with a dilute cobalt wash, as required to fulfil the pattern, leaving specific parts of the design in micro-detail left blank and therefore still white. It is an amazing skill to see done. The huge, heavily loaded brush, is filled with dilute ‘gosu’ pigment of cobalt. 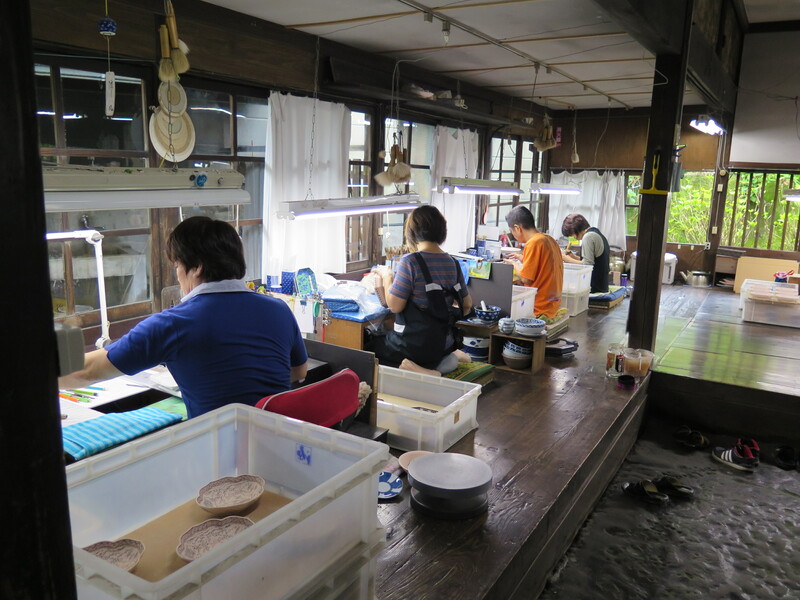 I count 11 people busy working in the decorating room while I’m there. Gosu used to be a natural cobalt ore, consisting mainly of iron and manganese, with just a little bit of cobalt content. The cobalt being such a strong colourant, that it over powers all the other oxides in the ore and still turns out blue. A soft blue admittedly. This is so much more preferable to straight 100% pure, modern cobalt oxide, extracted chemically from its complex cohort of other minerals. The older natural ores were a very impure blend and because of this, they tended to be a rather softer and washed-out tone of blue. These days potters like this tend to mix their own dilute cobalt pigments to break down the intensity of the royal cobalt blue. I have discovered cobalt bearing ores where I live, and they are only 1 to 1.5% cobalt with twice that amount of manganese and a load of iron. The remainder being silicates that make up the ore. They give a soft pale blue pigment. 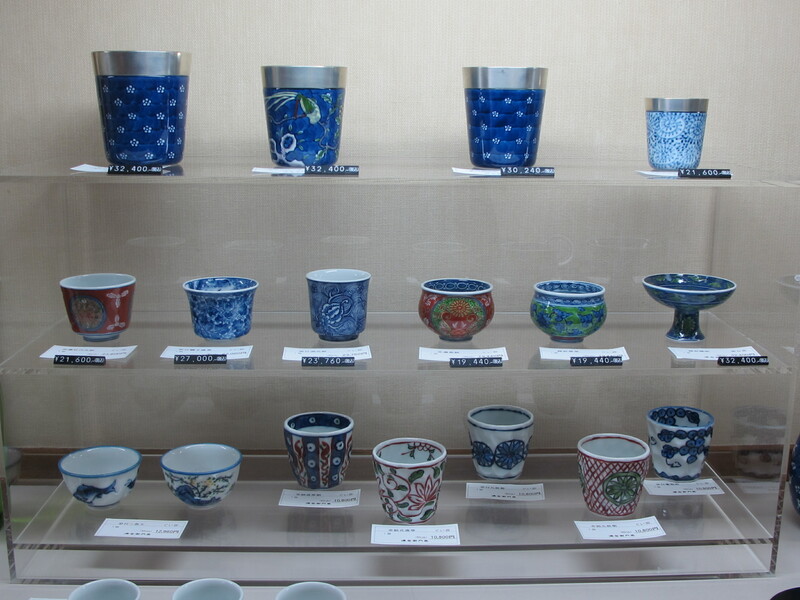 I can imagine that the original cobalt ‘Smalt’ or ‘Gosu’ pigments were very similar materials to this? Here the fully loaded huge ‘fudo’ brush just keeps moving, never stopping, working its way around the surface of the pot, draining it’s precious contents of gosu into the design in a carefully controlled and steadily flowing movement of the brush. It’s just like magic, it is an amazing and very impressive skill, every drop goes exactly where it is intended. It never overlaps where it shouldn’t go. Years of practice have gone into this level of achievement. I’m beyond impressed, I’m gob-smacked. I’m amazed that it can be done, in what appears to be such an effortless way. 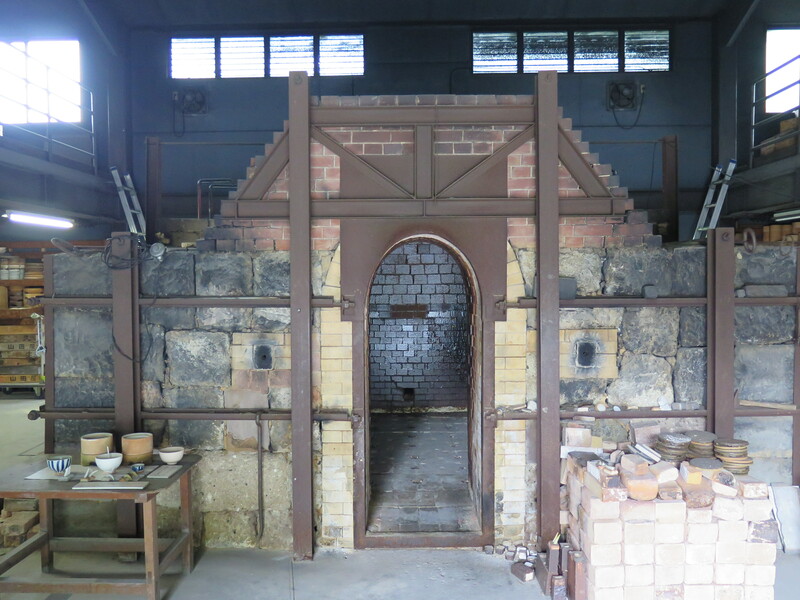 The glaze firing is done in a huge, single-chambered, wood fired kiln. 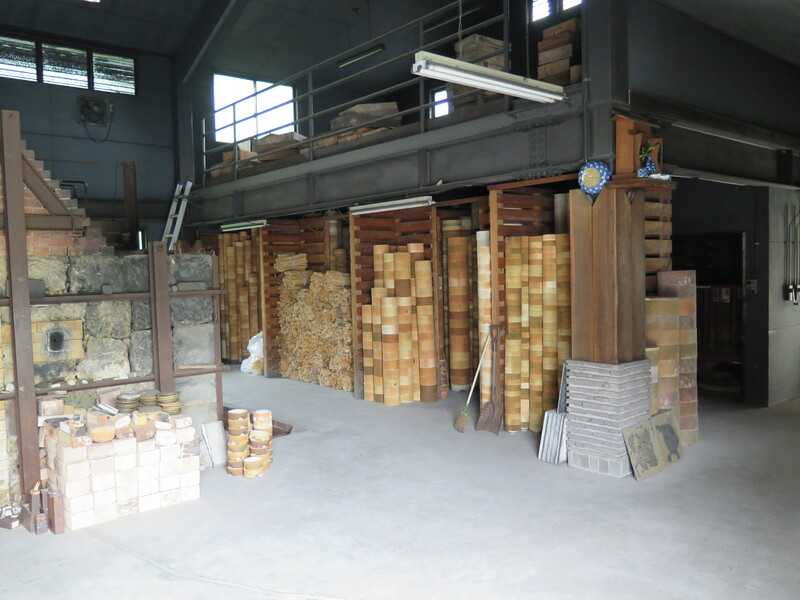 It was told that it takes 1000 bundles of wood, at $7.00 dollars each, to fire up this big kiln. I’ve double checked the details, and this is the correct figure, or what I’m told is the correct figure. 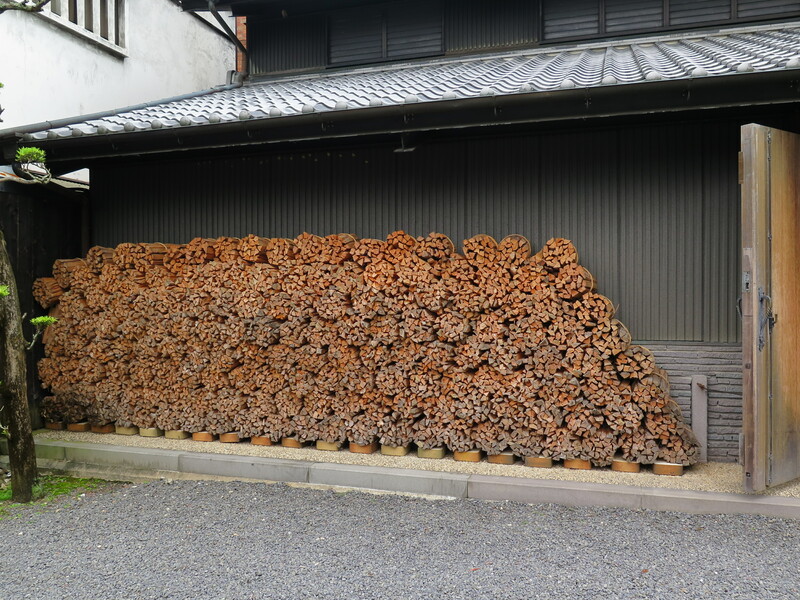 I find it hard to believe that you can spend that much on fuel on one firing of a kiln. No wonder that the prices are so high. However, when I get into the gallery/sales room. it’s another matter. These prices are not for me. They start in the thousands. I’m completely out of my league here. The work is so impressive and so complex and the closest thing that I can imagine to perfection by hand methods. I’m absolutely convinced that these pots are worth every cent of the price. It’s just right out of my budget, for me on this trip. 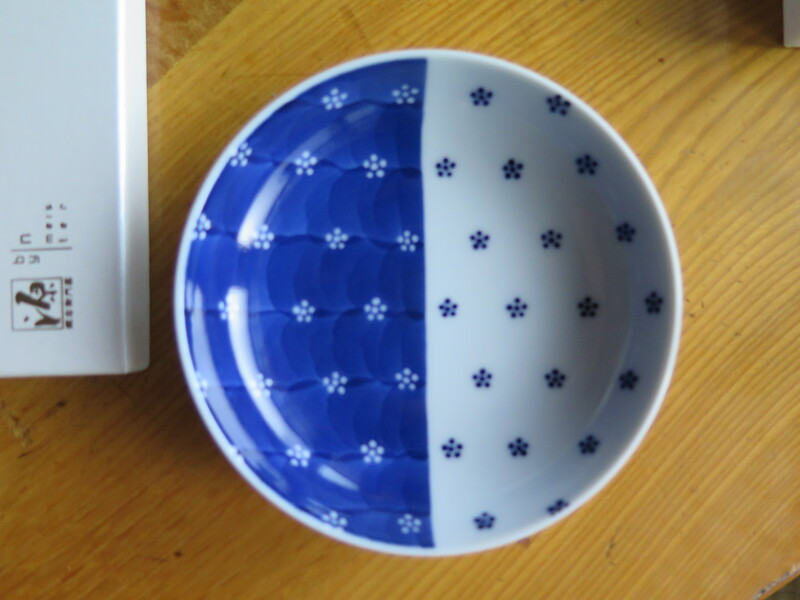 I eventually find a tiny dish that I can afford, in single tone blue and white. It’s tiny and exquisite and I can afford it at $35! I can’t see anything that I can afford in 4 colour, over glaze enamel and under glaze cobalt, with a final firing of gold detailing. It’s all pretty impressive, and I’m so glad that someone is still doing it, and even more glad that that someone isn’t me! I really admire the skills, I just don’t what to be the person doing it. I’m even more impressed that they can get the high prices that they are getting. They need to, to be able to employ all these amazing craftsmen and women. Unless I had seen it done with my own eyes. I wouldn’t, couldn’t believe that it were possible to paint the negative space out like this in straight lines, without using some sort of resist to keep the pattern so clean, perfect and regular.